Torre de Belém, c. 1515, overlooking the Tagus, at the entrance to the old port of Lisbon. The death of Francisco d’Almeida has been called one of the great tragedies of Portuguese history, as Portugal never colonised the Cape of Good Hope but, instead, took Angola and Mozambique. Sonja and Jason’s investigation is thus dominated by Portugal’s Voyages of Discovery and its subsequent overseas expansion. 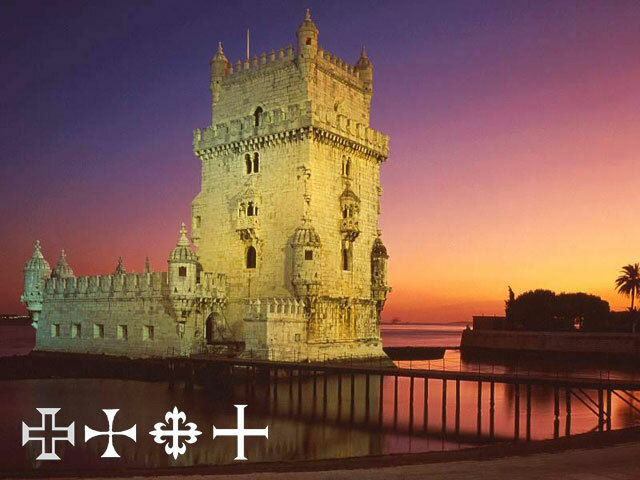 Various locations in Sagres, Lisbon, Tomar and Coimbra are described in detail, as are symbols of Portugal’s Golden Age. The protagonists examine several historical figures—from Henry the Navigator to Manuel the Fortunate—while tracing Almeida’s own checkered career in 15thC Portugal and Spain. To follow Sonja’s own journey of self-discovery in Portugal, click Unravel the clues. Click here for a Portuguese book review, or journey on to see what happens in Spain.